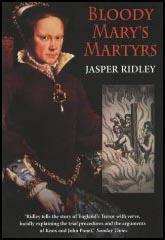 Q1: Read the introduction and study source 2 and 3. Who uncovered the plot against Queen Elizabeth in 1571? Q2: Study source 4. Why do some historians have doubts about the role played by Roberto Ridolfi in the plot? A2: The author of source 4 suspects that Roberto Ridolfi was a double agent and during his house arrest he was successfully "turned" by Walsingham. He was therefore working for, and not against, the Elizabethan government. Q3: Study sources 2, 5 and 6. Give as many reasons as you can why Queen Elizabeth was reluctant to order the execution of the Duke of Norfolk. A3: The Duke of Norfolk was seen as the leader of the Catholics in England. Queen Elizabeth was worried that if she ordered his execution the Catholics might rebel against her rule (source 2). If Roberto Ridolfi was a double agent the Duke of Norfolk had been tricked into joining the conspiracy (source 5). Queen Elizabeth had presented herself as a tolerant leader. Since she came to the throne, Elizabeth had refused to order the execution of anyone for treason (source 6). Q4: Study sources 8, 9, 10 and 12. Describe the methods that Mary, Queen of Scots and Anthony Babington used to communicate with each other. A4: Mary, Queen of Scots and Anthony Babington communicated by sending secret letters to each other. Gilbert Gifford devised a method of smuggling letters to the queen in the beer barrels that were regularly delivered to her household. Her replies were sent out in the empty beer barrels. The letters were written in code. It consisted of 23 symbols that were to be substituted for the letters of the alphabet (excluding j, v and w), along with 35 symbols representing words or phrases. Q5: Gilbert Gifford was a "double-agent". Explain what this term means. A5: A "double-agent" is someone who pretends to act as a spy for one country or organization while in fact acting on behalf of an enemy. In this case Gifford appeared to be working for Anthony Babington but was really employed by Francis Walsingham. Q6: Explain the views of the historian who produced source 14. Use the evidence in this source to give your own opinion on the guilt or innocence of Mary, Queen of Scots. A6: Hugh Oakeley Arnold-Forster does not give a clear opinion on the Babington Plot because of a lack of evidence. However, he clearly has doubts about Mary's involvement: "Whether Mary knew of these plots is uncertain... Letters were found... but there were many who said then, and many who still believe, that these letters were forgeries - that is to say, that they were written by Mary's enemies for the purpose of making people believe she was guilty."